Yellowstone’s just down the road, and gets all the love (and hundreds of thousands more tourists every year.) Fine. Let ‘em have Old Faithful, and its snack bar too. 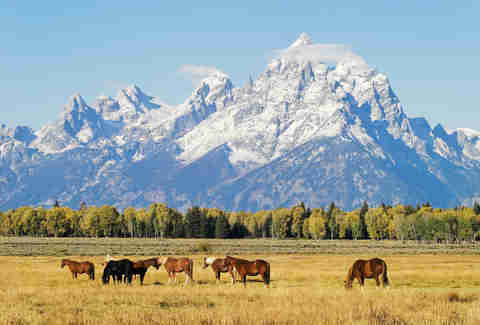 Because trekking the dramatic peaks of the Tetons -- which tower 7,000 feet above the valley floor -- is where it’s at. Take on a difficult but non-technical climb like Static Peak (11,303’) or dive in and conquer one of America’s most iconic summits, the Grand Teton (13,770’), a tough, technical, and unforgettable two day climb (do it guided, through ExumGuides.com). Because it’s a 45-mile long island in the middle of Lake Superior, accessible only by boat and closed all winter, Isle Royale tallies an ultra-low visitor count. 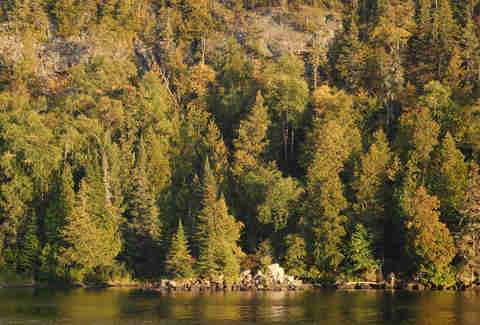 It’s been said that more folks visit Yellowstone in a day than travel to Isle Royale in a year. That alone makes it awesome. But here’s why you should go on a backpacking trip here this summer: the island’s celebrated pack of wild wolves has dwindled to just three, meaning you may be the among the last to fall asleep listening to one of America’s longest-studied packs of carnivores. Remote, remote, remote. 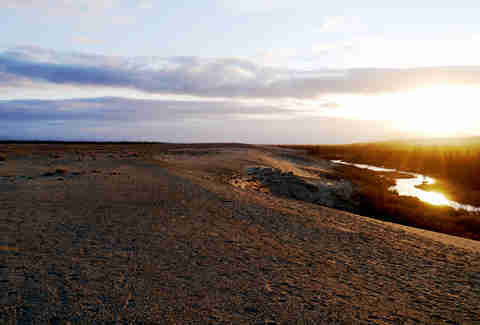 In far West Texas, Big Bend National Park hugs the Rio Grande River, and Mexico is just on the other bank. 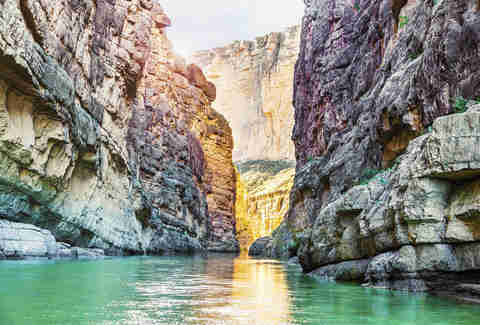 Despite the fact that it offers some of the most awe-inspiring backpacking in the US, fewer folks come to Big Bend every year than see the Longhorns play in Texas Memorial Stadium over two or three Saturdays in the Fall. If you’re going, backpack the high country of the Chisos Mountains -- the only mountain range that’s completely within the borders of a National Park. Once night falls, you’ll witness one of the greatest celestial views you’ll see anywhere -- Big Bend’s far-flung location gives it some of the darkest skies in the States. Hiking and biking the great outdoors is all about getting to the middle of nowhere and breathing in the beauty of nature while getting some exercise at the same time. 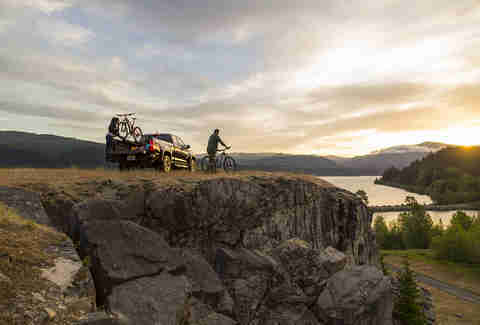 Whether you’re just hitting the trails for a day, or packing camping gear too, the Chevy Colorado offers the best combination of power and efficiency of any midsize truck to get you to the perfect trailhead. 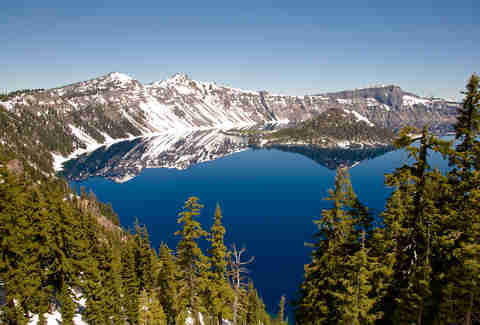 Ringed by 2,000-foot cliffs, Crater Lake’s crazy-deep lake (1,900 feet) sets a scene stunning enough that it was one of the earliest National Parks picked (1902.) But due to its remote location, Crater doesn’t get the high visitor count it deserves: just over half a million came in 2014. Avoid weekends in July and August and you’re sure to find solitude. Don't let 127 Hours scare you. Yeah, this is the park where Aron Ralston amputated his own arm from a boulder fall, immortalized in the James Franco film. But there are plenty of epic scenes you can take in without having to go solo. We suggest taking a buddy or two and your 4x4 (or you can rent one in Moab) and driving down White Rim Road, a 100-mile trip around and below the mesa top. 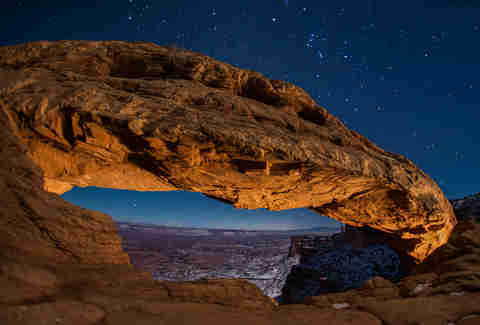 You’ll take in tremendous desert panoramas while the crowds over at nearby Arches National Park are stuck in traffic. 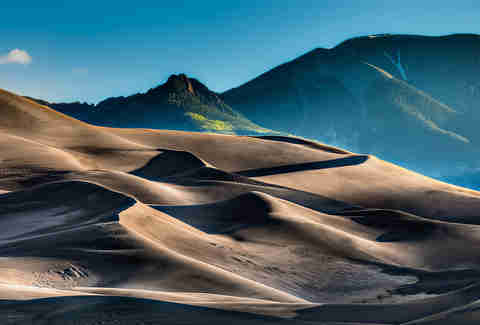 Thirty square miles of towering sand dunes -- the tallest in North America, peaking around 700 feet -- wind through the San Luis Valley Floor, providing a sweet spot to shred, snow-free. Sandboards (like a snowboard with footstraps) and sandsleds (sleds with a padded bottom) are available for rental at a few nearby shops. One disclaimer: there are no lifts, of course, so you’ll have to earn your turns by trekking to the top. 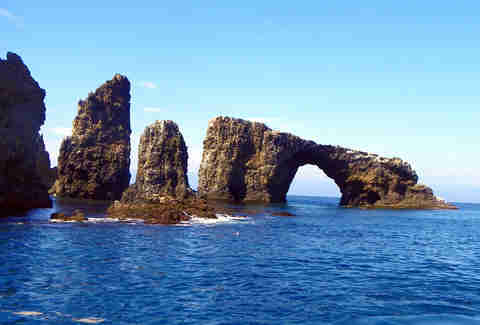 Despite the fact that you can peep them from mainland California, the Channel Islands seem a world away: there are no phone lines, or cars, and the variety of wildlife is insane (almost 150 species of plants and animals are found here, and nowhere else on earth.) After a one-hour ferry ride to get there, take in the wildest Channel Islands scenes via a series of SCUBA dives, or paddle the coastline, including some of the world’s largest sea caves, in a sea kayak. There’s more to the Virgin Islands than the touristy ports-of-call you hit with your parents on that cruise in high school, which probably stopped in ship-clogged St. Thomas. 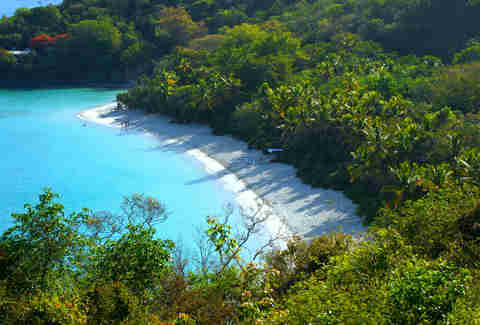 St John represents the wilder side of the Caribbean: 60 percent of the island is a protected national park, covered with trails that wind through lush forests and near abandoned sugar cane plantations (watch for feral donkeys.) Of course the best stuff’s in the crystal-clear water: there’s killer snorkeling everywhere. If you can swing it, stay at Caneel Bay (caneelbay.com) a stellar resort, and the only one operating within the confines of the park. Did you know that Arkansas is more than just the birthplace of Wal-Mart and Bill Clinton? ’Tis true. Buffalo River was the first waterway graced with the “National” designation back in 1972, but it seems like just recently that the rest of the country is catching on that there’s world-class wilderness hidden in these hills. The undammed waterway flows for 135 miles through the park, and a hundred miles of hiking trails traverse the bluffs on either side. If hiking or paddling’s not gnarly enough for you, jump on a MTB and head for some of the best (and toughest) trails in all of the south. There’s big, and then there’s Wrangell. This mammoth park, the nation’s largest, is six times the size of Yellowstone, and boasts 9 of the 16 tallest mountains in the United States. The best way to take it all in? 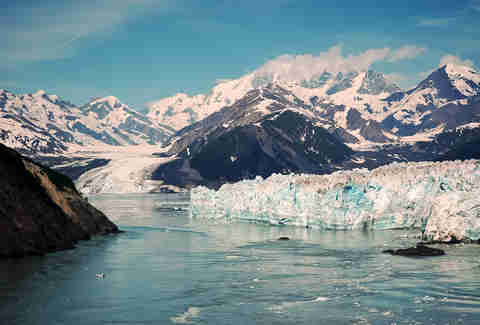 By mixing it up in a guided journey from Wrangell Outfitters that combines trekking on horseback through the wilds to glacial river sources, then rafting down through glacial-melted whitewater. You’ll see more caribou, moose, grizzlies, and wolves than you will people. 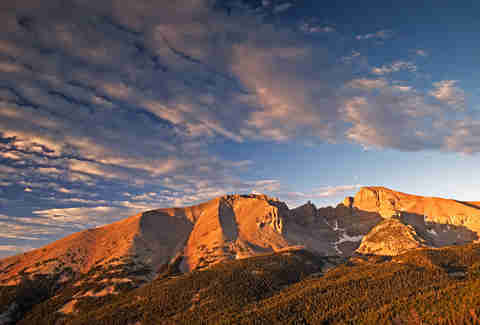 Next time you’re in Vegas, pack a tent, add a few days to your trip, and head four hours up the highway to Great Basin. You’ll be trading the neon lights of Sin City for the hyper-real glow of the Milky Way. To see the stars, stay at the Wheeler Peak campground (at nearly 10,000 feet, you’ll feel the elevation), and in the morning take the summit (13,065 ft.) a completely do-able trek even if you partied hard back in LV. 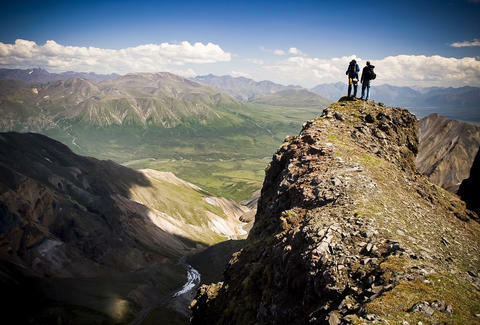 Occupying 1,750,000 acres above the arctic circle, Kobuk Valley is giant in scale yet records a visitor count in the mere hundreds every year. Getting to this part of the tundra presents a challenge: you need to take a plane from the nearest town, Kotzebue, 100 miles west. It won’t drop you and your backpack off at a visitor center — there isn’t one. Just you, the arctic dunes, and thousands upon thousands of caribou. You did say you wanted to go Into the Wild, didn’t you?